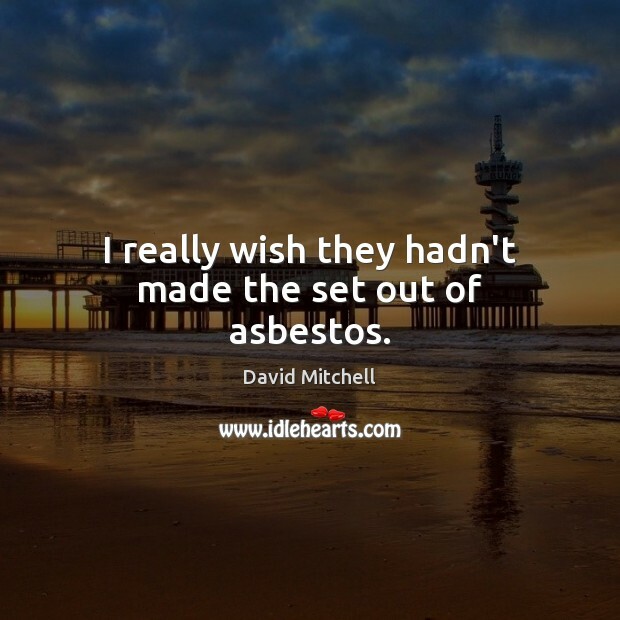 Quotations about Asbestos. Quotes to stimulate mind and drive action! Use the words and quote images to feed your brain inspiring things daily! 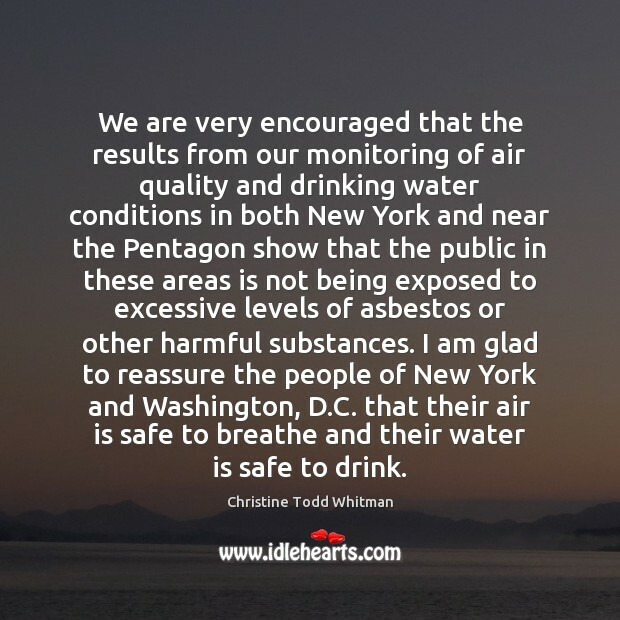 We are very encouraged that the results from our monitoring of air quality and drinking water conditions in both New York and near the Pentagon show that the public in these areas is not being exposed to excessive levels of asbestos or other harmful substances. I am glad to reassure the people of New York and Washington, D.C. that their air is safe to breathe and their water is safe to drink. This is the most exciting place in the world to live. Oh yeah! There are so many ways to die in New York City! 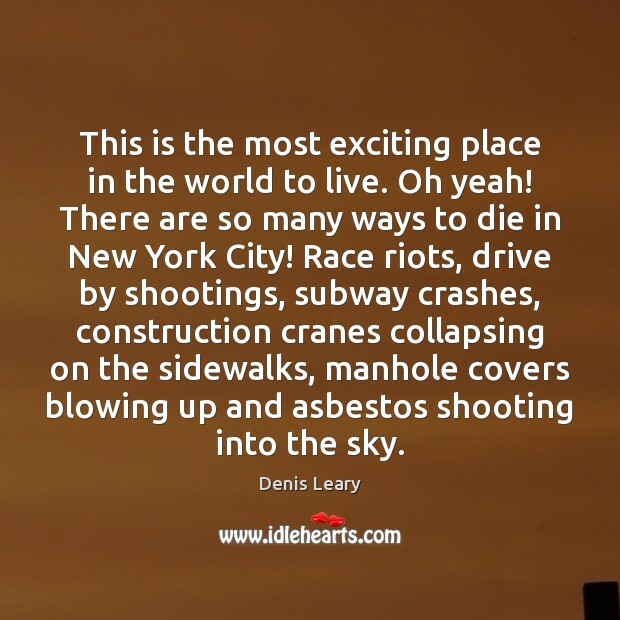 Race riots, drive by shootings, subway crashes, construction cranes collapsing on the sidewalks, manhole covers blowing up and asbestos shooting into the sky. 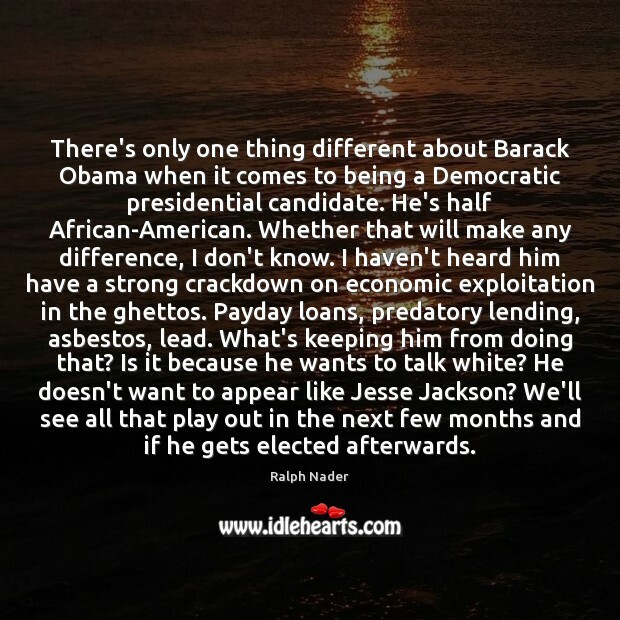 There's only one thing different about Barack Obama when it comes to being a Democratic presidential candidate. He's half African-American. Whether that will make any difference, I don't know. I haven't heard him have a strong crackdown on economic exploitation in the ghettos. 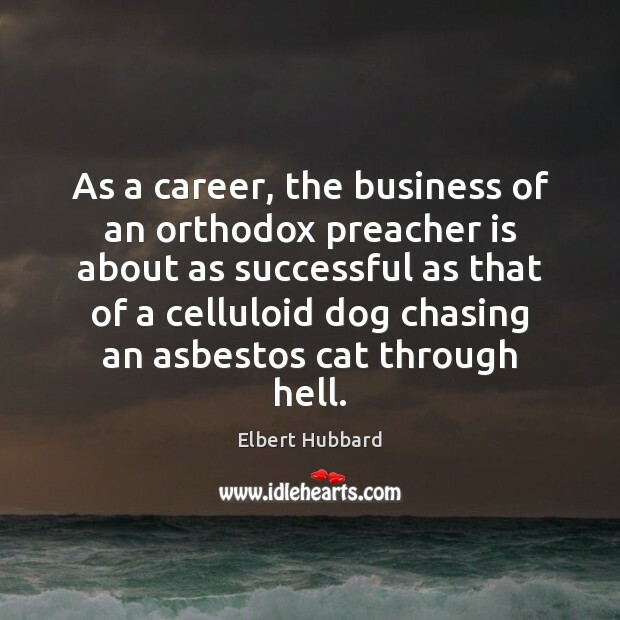 Payday loans, predatory lending, asbestos, lead. What's keeping him from doing that? Is it because he wants to talk white? He doesn't want to appear like Jesse Jackson? We'll see all that play out in the next few months and if he gets elected afterwards. 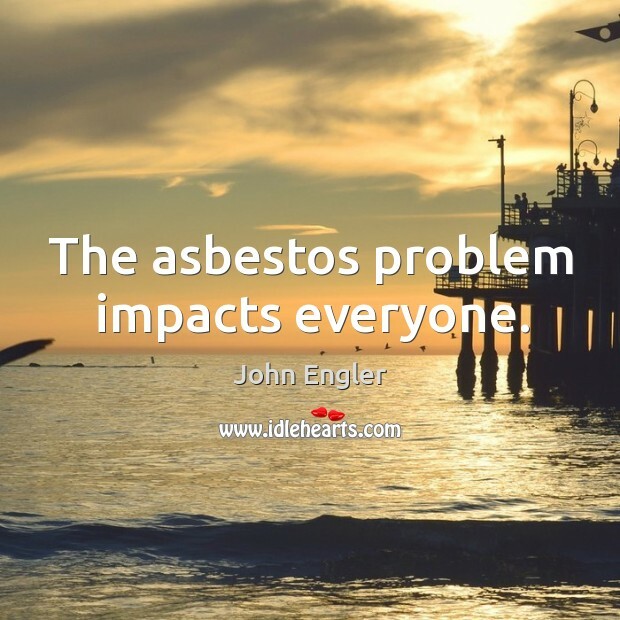 ...The asbestos industry...has for decades successfully suppressed and manipulated information on the carcinogenicity and other hazards of asbestos. 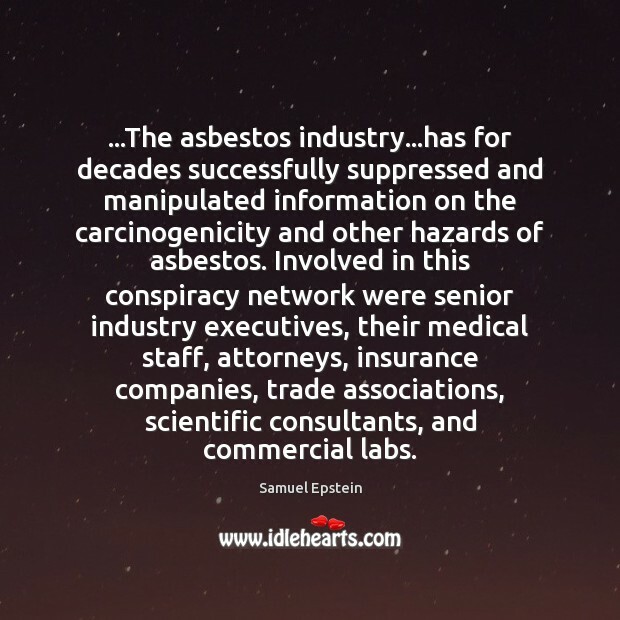 Involved in this conspiracy network were senior industry executives, their medical staff, attorneys, insurance companies, trade associations, scientific consultants, and commercial labs. Warm-hearted! 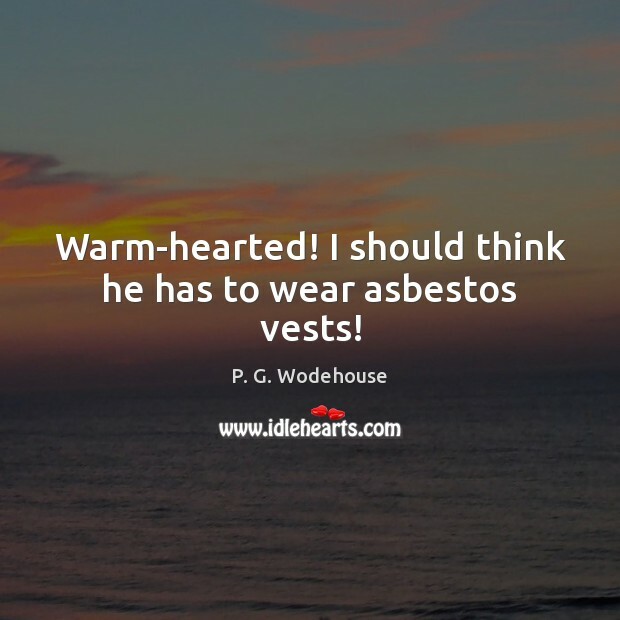 I should think he has to wear asbestos vests! 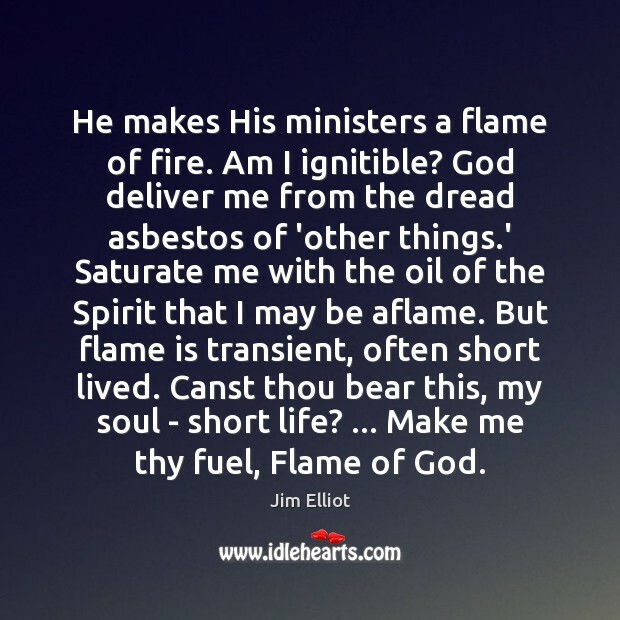 He makes His ministers a flame of fire. Am I ignitible? 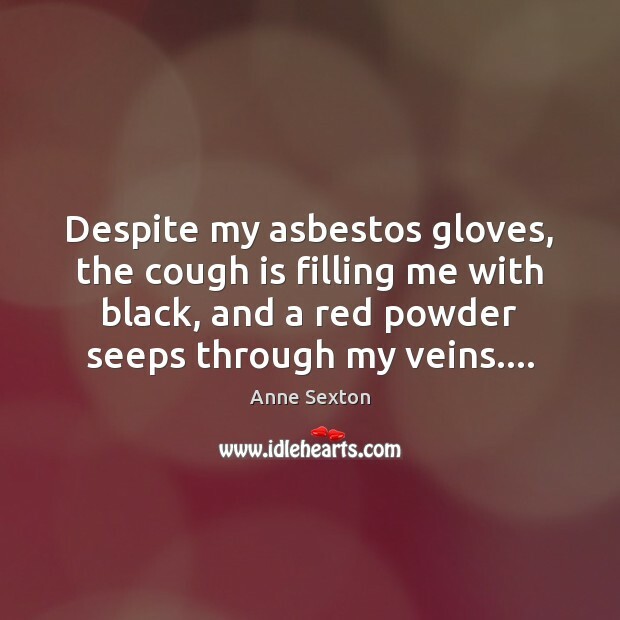 God deliver me from the dread asbestos of 'other things.' 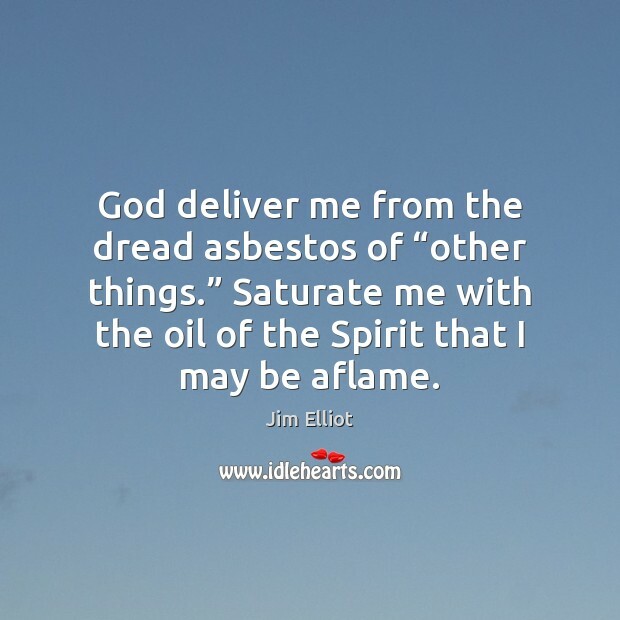 Saturate me with the oil of the Spirit that I may be aflame. 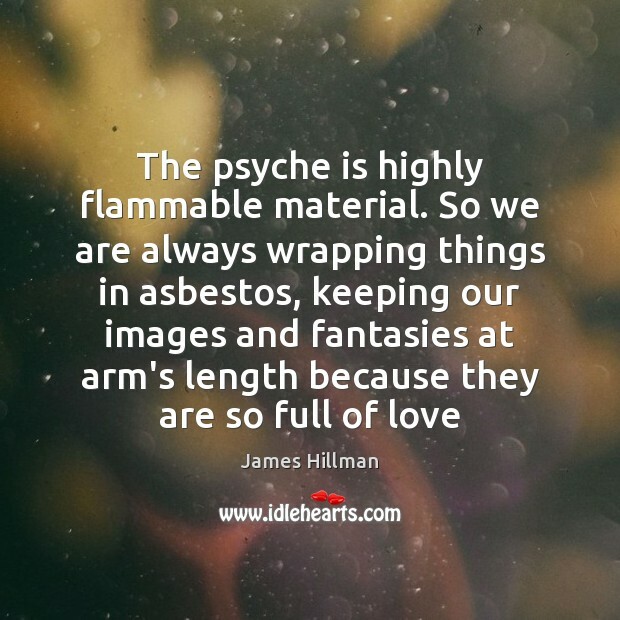 But flame is transient, often short lived. 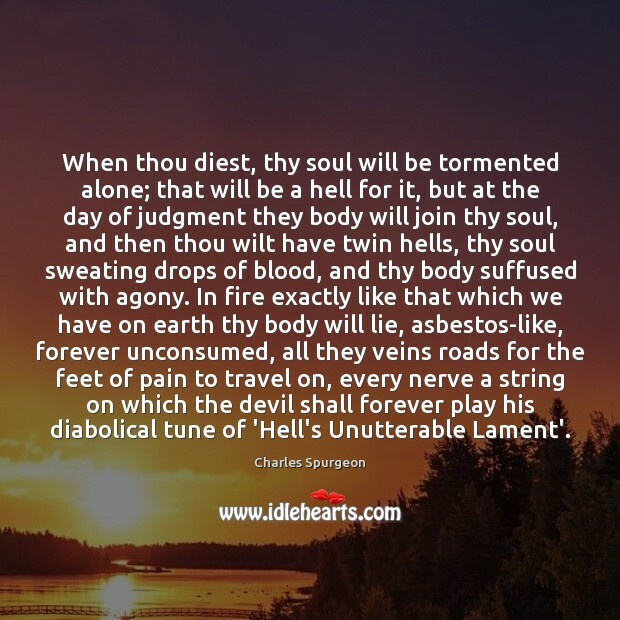 Canst thou bear this, my soul - short life? ... Make me thy fuel, Flame of God. 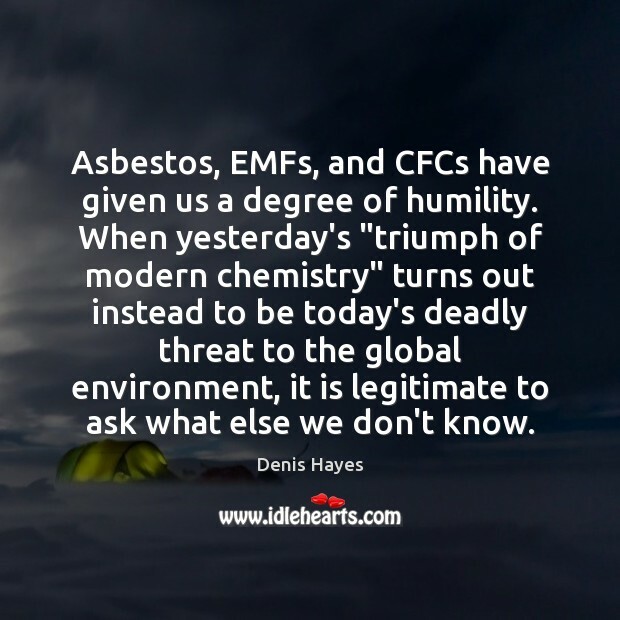 Asbestos, EMFs, and CFCs have given us a degree of humility. When yesterday's "triumph of modern chemistry" turns out instead to be today's deadly threat to the global environment, it is legitimate to ask what else we don't know.